While having a good and comprehensive collection of sampled traditional instruments is rather important for anyone who wishes to be prepared to work on just about any genre and style of music, there is also an important part of the sonic pallette that shouldn’t be left over-looked and that is everything that is not traditional or common. We are talking about odd sounds, odd instruments, custom instruments, unique and weird contraptions. This is in many cases the stuff that gives a piece of music that little extra something, that edge and uniqueness. This is where Klanghaus 2 comes into play rather splendidly. 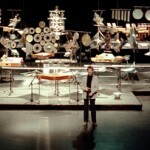 Ferdinand Foersch is a musician, composer, artist and a producer who has been inventing and constructing unique custom instruments, sound sculptures and installations since 1982. Having developed over a hundred instruments from metal drums to strings instruments and odd sound machines from all kinds of material right up to scrap metal, he founded the Klanghaus in 1997 in Hamburg as an experimental forum for concerts, exhibitions and performances. 30 years later he allowed this unique collection of strange and otherwordly instruments to be sampled and turned into a virtual instrument. 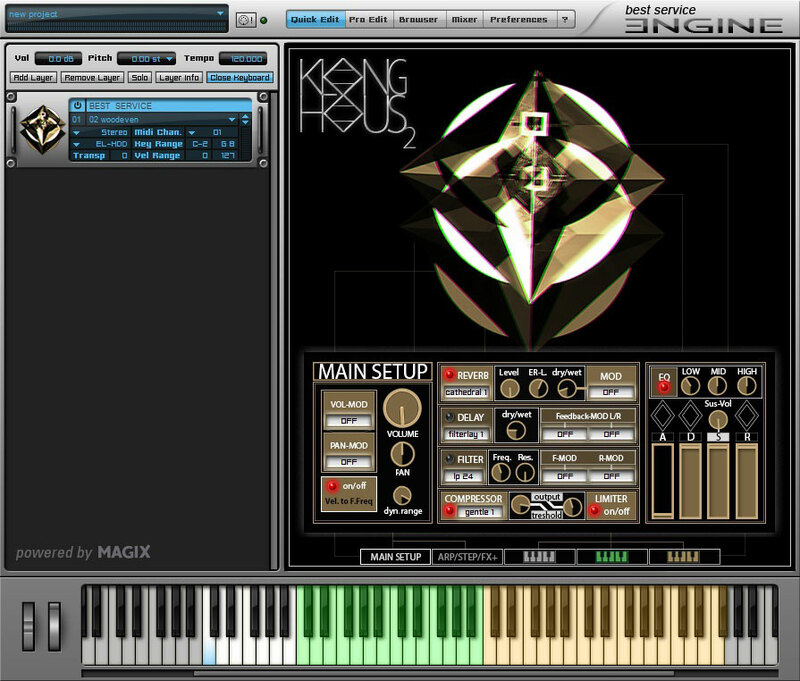 This is how the Klanghaus virtual instrument powered by the Best Service Engine 2 was created. 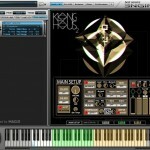 Now, some years after the release of the Klanghaus 1, Best Service decided to further expand the collection by adding more than 900 grooves, loops and swells that can be even further manipulated and edited by the user by using the new graphical interface. Klanghaus 2 consists of 4 GB of sampled material, ranging from bowed instruments to percussive sounds that mostly have a metallic nature to them, but the things you stumple upon sometimes, well there’s just no word to descripe them. And that is a good thing. Well, mostly. So to make it clear, by getting Klanghaus 2, you get Klanghaus 1 with a lot of new sounds and a bunch of performances that can be further manipulated inside the player. Klanghaus 1 consists of multi-sampled instruments from the unique orchestra of Ferdinand Foersch, mostly played as single hits. If however upon playing a note and you hear more than one hits of the instrument, the hits are still tempo-synced to your DAW. I didn’t find any logic in how the play styles were laid out on the keys so this library seems to work best by using the good old trial and error method. The patches found in the Klanghaus 1 menu range from creepy bowed metal instruments to percussive sounds that usually have a few key-switches which let you choose from a longer sustained bowing to shorter ones, or in some cases they just let you choose a bit different sounding play style of the selected instrument. Also included are some performance loops, which sound very organic, artsy and experimental but also very tight and well-played. Some loops are very simple, for example just a few plucks of an interesting sounding plucked string instrument and therefore might be quite useful in variety of different genres. As a nice bonus some of the KH1 instruments were recorded using multiple mics and these levels can also be adjusted. Sometimes these same controls adjust different sounding layers of the same instrument. Experimenting is adviced. The overall content is as mentioned mostly metallic instrument oriented but it doesn’t mean the sounds are all high pitched squeeky screetching, no, there are also some incredibly powerful and cool low end bassy sounds from strong hits to deep bowings. While browsing through the Klanghaus 1 sounds, I already found tons and tons of material for an organic and utterly scary horror score. The variety of unique sounds is praise worthy. The Klanghaus 2 side of the instrument get a lot more experimental and weird. Emphasis on the weird. The first time I fired up the instrument and chose a random patch from the KH2 menu, my initial thought was, ”What in the name of sweet holy mother…?!”. But as you start going through all the patches one by one taking your sweet time and dedication and hold every note down and wait what happens and really, I mean really, pour plenty of time into taking it all in, you slowly start seeing the beauty of the collection. There’s just no word for it, what it sounds like. And I guess that is mostly a good thing. I mean the amount of inspiration this library can provide is endless. But then again it does tend to limit itself to the dark, scary and quirky styles. But that is exactly where it excells. I could just imagine a crime scene in a dark movie or a TV series with Klanghaus 2 providing the extra gloomyness and dark atmosphere to perfect the cue. Why not also use for horror trailer music? Dark moods are probably the most prominent part of the library. A little bit about the new interface the Klanghaus 2 upgrade brings into the table. 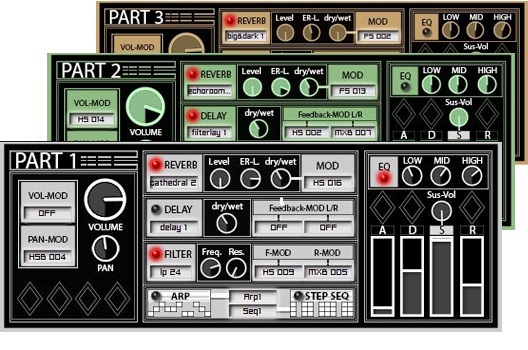 First of all you can find all the basic stuff like volume, pan and ADSR controls for each patch, but the additional effects are the ones that really can and will cause mayhem with the different instruments. 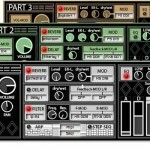 There are choises for reverb, delay, bit-crusher, filters, compressor, limiter, arpeggiator, phaser, rotor, step sequencer and all kinds of modulation presets that can manipulate the sound in different rhythms. Again, trying out and experimenting is the key here. The instruction manual that comes with the product in PDF format is a good thing to go through before diving into the collection head on. 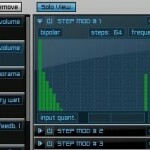 But in short, the possibilities to manipulate the sounds and creating different obscure rhythms with the steps sequencer and apreggiator really makes this a sound designer’s tool. One just has to have the interest to start digging in the different small menus in detail to get the most out of the tweaking possibilities. Could be a little daunting to some but other’s will surely love the possiblity. And that sound manipulation part is the idea of the KH2 upgrade, twisting something that already was quite obscure, into obscurity oblivion. Klanghaus 2 takes a bit of time to get into, it’s more an experience than off the bat playable instrument. But taking the time with this one is rewarding. You find such obscure and cool things in there that you cannot be but pleased once that one otherwordly sound fits your track perfectly and gives it its final touch. Also the inspiration this product provides you can be invaluable. The overall mood is quite dark and obscure, so if you are on the lookout for new experimental and untraditional darker and organic sounds, this is a very good collection to spend your money on. It will serve you years to come, but in small increments at a time. The price is a bit on the higher side, at 259 EUR, so you probably won’t be purchasing this unless you have some extra cash laying around, because let’s face it, you won’t be needing this library nearly all the time. But once that moment of need comes, you wish you had it. Unlimitune is Jarkko Hietanen. With over 16 years of experience in creating music, colorful palette of past projects, wide range of musical styles and passion for Unlimiting possibilities in sonic expression, clients can expect dedication, focus on detail, emotional and inspiring high quality sound for their projects.Unlimitune has provided music for such productions as Porsche Racing and Porsche Design videos, Discovery, BBC, other European TV, Canadian TV, Award-Winning Short Films, Feature-Lenght Films, Commercials, Trailer, Documentary and Corporate Videos.